Tag Archives: Hibiscus laevis All. Each bloom last only one day, but you can see another coming along. Hibiscus laevis All. Halberdleaf Rosemallow, Rosemallow, Halberdleaf hibiscus, Scarlet rose mallow, Swamp mallow, Swamp rosemallow. This entry was posted in Botany, Okra Paradise Farms, Plants, Rosemallow and tagged Georgia, Gretchen Quarterman, Halberdleaf hibiscus, Halberdleaf rosemallow, Hibiscus laevis All., John S. Quarterman, Lowndes County, Okra Paradise Farms, Rosemallow, Scarlet rose mallow, swamp mallow, swamp rosemallow on July 20, 2018 by John S. Quarterman. 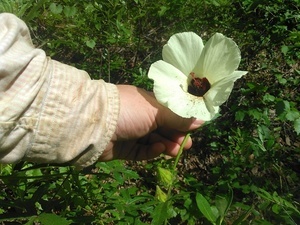 This entry was posted in Rosemallow and tagged Halberdleaf hibiscus, Halberdleaf rosemallow, Hibiscus laevis All., Rosemallow, Scarlet rose mallow on August 28, 2017 by John S. Quarterman. Each flower blooms only one day. 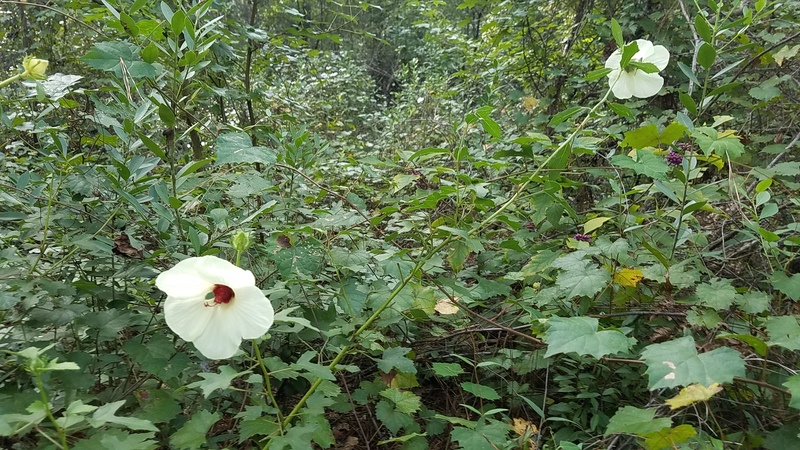 This entry was posted in Rosemallow and tagged Halberdleaf hibiscus, Halberdleaf rosemallow, Hibiscus laevis All., Rosemallow, Scarlet rose mallow on August 23, 2017 by John S. Quarterman. Didn’t know there was one on that path. 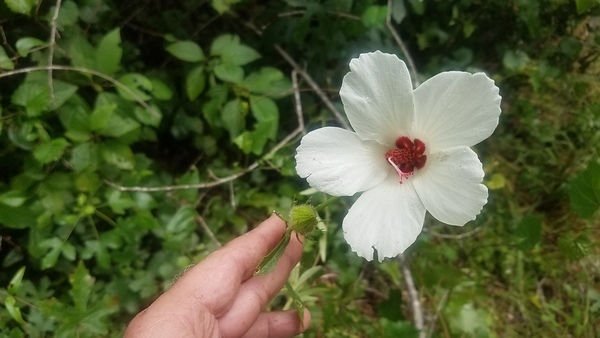 Also known as Halberdleaf rosemallow, Hibiscus laevis All. It’s a forb that grows all over the eastern U.S. and in Ontario. I’ve got one in a pot here on my front porch that I dug up to get it out of the next path mowing. No, they don’t have much of an odor. Yes, they are five-lobed flowers, and they do seem to like disturbed soil. The ones I have are not in a swamp; they’re in upland woods. 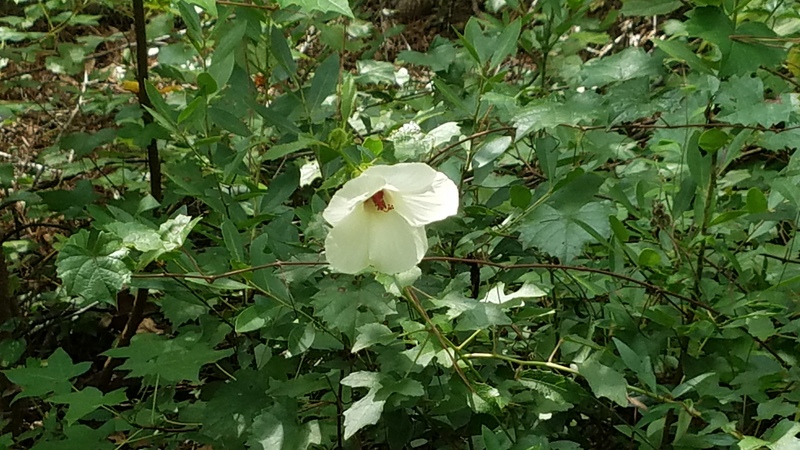 This entry was posted in Botany, Plants, Rosemallow and tagged forb, Halberdleaf hibiscus, Halberdleaf rosemallow, Hibiscus laevis All., Rosemallow, Scarlet rose mallow, swamp mallow, swamp rosemallow on July 16, 2017 by John S. Quarterman. 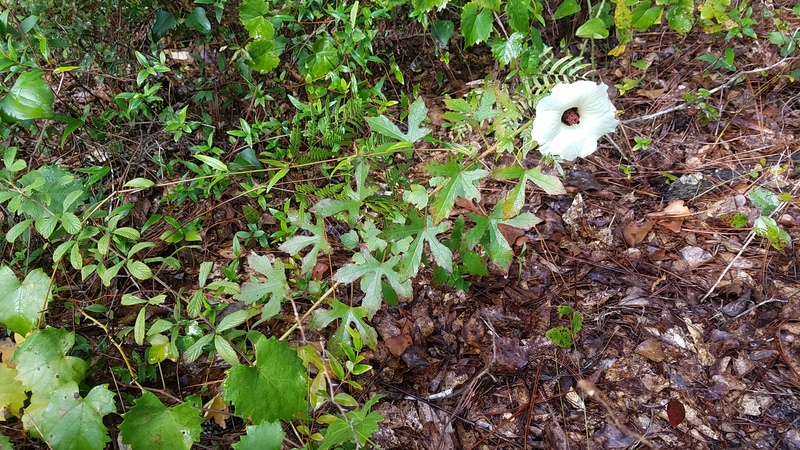 This entry was posted in Botany, Okra Paradise Farms, Rosemallow and tagged Botany, Georgia, Gretchen Quarterman, halberd-leaved rose mallow, Halberdleaf hibiscus, Halberdleaf rosemallow, Hibiscus laevis, Hibiscus laevis All., John S. Quarterman, Lowndes County, Okra Paradise Farms, Rosemallow, Scarlet rose mallow, swamp mallow, swamp rosemallow on June 20, 2016 by John S. Quarterman.